By default, Magento 2 provides limited capabilities when it comes to data import. They are enough for satisfying basic demands, but what if a more complex tas must be solved? For instance, you need to import JSON files to Magento 2. Unfortunately, this opportunity is available neither in Magento 2 out-of-the-box nor most third-party extensions. But below, we shed light on how to import JSON to Magento 2. Perhaps, there is a very complicated solution described on StackExchange that requires multiple third-party services to be used turning the JSON format into CSV, but we know a better way. 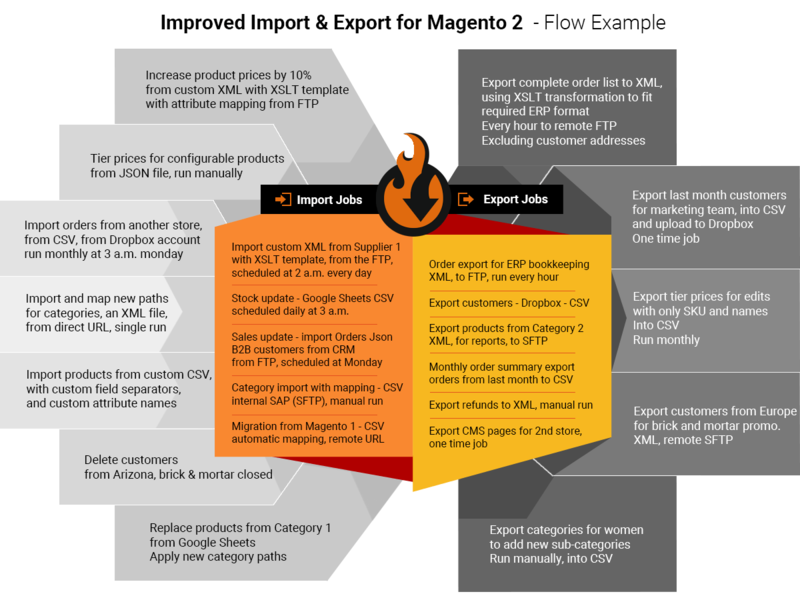 Meet the Improved Import & Export Magento 2 extension. This module supports JSON data import allowing you to move all the necessary information to your e-commerce store in the desired format without any headaches. More information about the Json file type can be found here. As for the workflow, it is the same as with other file types. If you require detailed instructions on how to run the import – read through the Improved Import and Export manual. 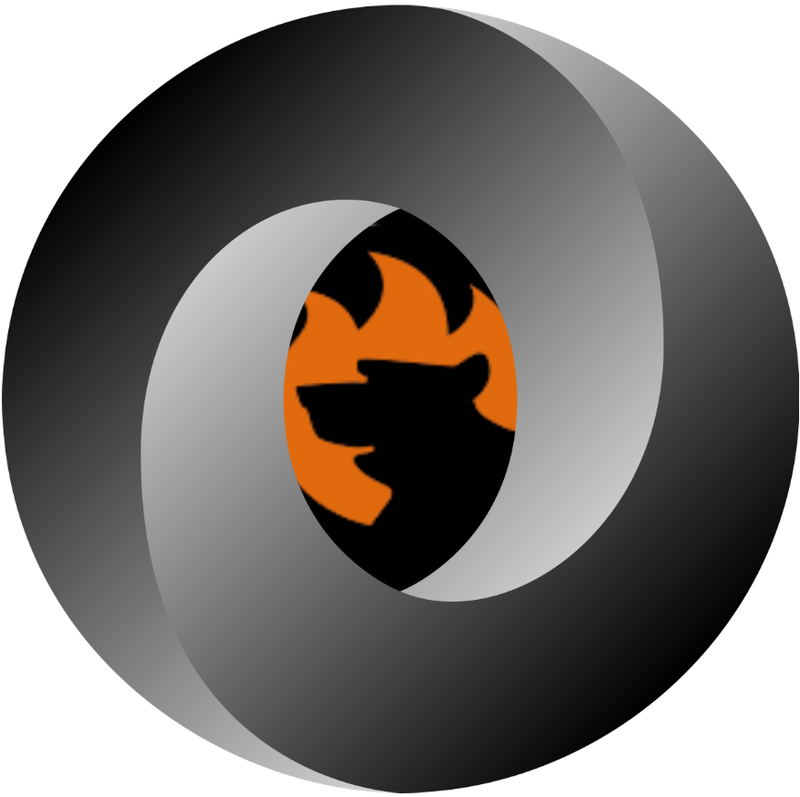 You can always refer to the FireBear Studio GuiHub to find the latest sample files for Magento 2 Improved Import and Export extension. It is also necessary to mention supported entities. Of course, you can run product import to Magento 2 via JSON with the help of the Improved Import & Export Magento 2 extension. The module enables the seamless transfer of product data between your e-commerce store and any third-party platform in a JSON format. And all standard features of the Improved Import & Export Magento 2 plugin are supported, but let’s return to entities. The second supported entity is Customers. Now, you can use the accessible format to transfer all information about your registered clients from the old website or any third-party system to your e-commerce store. The Improved Import & Export Magento 2 extension provides the extended support for JSON customers data import and export and you can fully leverage it. The fourth supported entity is Categories. Our module lets you freely move categories to and from Magento 2 via JSON. Now, you don’t need to convert data files to CSV to run category import. CMS pages are also freely supported in Magento 2 JSON import/export. The same is about coupon codes and attributes. These are all entities, so let’s describe other essential features. The Magento 2 JSON import and export fully support such features of the Improved Import & Export module as schedules and mapping. It means that you can freely automate the import/export processes eliminating manual data updates and JSON data files modification. The Improved Import & Export Magento 2 extension fully supports cron so that you can create any custom schedule of updates. Furthermore, it is possible to make two different update plans for JSON import and export processes related to the same integration. As for mapping, the Improved Import & Export Magento 2 extension allows you to match the default Magento 2 attributes to any custom ones when you run JSON import or export. Thus, there is no need to edit data files on every update modifying the output according to the required standards. The mapping interface is extremely flexible and at the same time admin-friendly. A complicated procedure of attribute matching is now turned into a rapid task that takes not more than a few minutes. Install the Improved Import & Export Magento 2 Extension. Create and apply a mapping scheme, etc. To export JSON from Magento 2, you need to implement similar steps creating the corresponding export profile. And you can freely import such JSON file to Magento 2 with the help of the Improved Import & Export Magento 2 extension. By default, the Magento 2 platform doesn’t provide any tools to do that since JSON is not supported. What is JSON and why would I use it?